With an insatiable appetite for more since hearing their string of EP releases last year, London-based four piece Flyte return with their first single of the year since vanishing to the confines of their Bethnal Green recording space almost 6 months ago to work on new material. Emerging with a newly invigorated energy, it's only natural their advancement in sound neatly follows suit as Closer Together's finely tuned melodies and expansive guitar layering encapsulates everything we've grown to love about the band yet with a defining new urgency. "If you work on something for longer than necessary it can become overcomplicated and convoluted" explains singer/guitarist Will Taylor. "If you spend too much time in someone else's company you begin to resent them. This song came from living in tiny London flats crammed in with too many other people. From feeling claustrophobic and overly obsessive. Closer Together is a request to reconnect with someone by seeing them less". 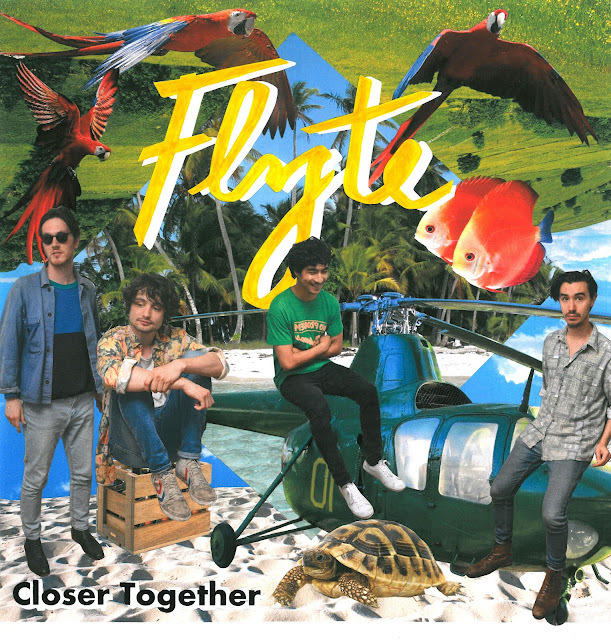 Released on Island Records July 31st Closer Together sees the first taste of new music take on some bold new moves as they strive ever closer to perfection. With the band's debut album nearing completion, I for one can't wait for more. Check out the new single for yourselves below.